To fully understand how TORQ Recovery Plus+ works in conjunction with TORQ Recovery please visit our TORQ Recovery System page. A 500g tub will provide 14 X 36g serves, 1.5Kg will provide 42 X 36g serves and 3Kg will provide 82 X 36g serves. TORQ Recovery Plus+ in the most part should be used in conjunction with TORQ Recovery, not instead of it. There are some exceptions to this rule, which are discussed under the ‘technical information’ tab. TORQ Recovery Plus is designed to be taken continually during any high load training period, because of its HMB content, but the Beta-Alanine and Sodium Phosphate offer most potential during high intensity interval training and racing. Therefore, TORQ Recovery Plus+ is ideal for use throughout the competitive season, or in the lead up to (and including) a training camp or cycling holiday, where exercise intensity is going to be mixed (intense and prolonged). This product offers significant benefits to intermittent interval type activities like track cycling, downhill mountain biking and team sports. TORQ Recovery Plus+ is a hot cocoa drink containing HMB, Beta-Alanine and Sodium Phosphate that is to be taken twice daily. It doesn’t have to be mixed hot, but it really does make a great tasting cup of cocoa, so we advise that you take your time and enjoy this product. If you’re in a rush, add 2 level scoops of the powder to 250ml of water in your mixer bottle and give it a good shake. Unlike TORQ Recovery, TORQ Recovery Plus+ is not affected if you use milk as a base instead of water and it can be sweetened if necessary with sugar. We can’t think why you’d need to do this, but it’s certainly an option for the sweet-toothed. It’s really important that you don’t add milk to TORQ Recovery though; you must make this with water or it won’t work properly. HMB has been found to slow down the degradation of muscle protein as well as enhance muscle gain, which means that it possesses both anti-catabolic and anabolic qualities. Early research has demonstrated that HMB supplementation lowers cholesterol and helps strengthen the immune system too. HMB supplements were first used in the farming industry to help farmers raise leaner cattle and keep them free from infection. Scientists who studied animals taking HMB found that it increased muscle growth, immune function and reduced subcutaneous fat (the fat stored directly under the skin). More recent research with human subjects has shown similar benefits. A highly respected research scientist called Dr Steven Nissen and his research team at Iowa State University conducted a study to determine if HMB would prevent muscle breakdown in humans undergoing resistance training and whether differing levels of protein intake would affect muscle mass or strength. They also assessed the effects of training and HMB administration on body fat and lean body mass levels (17,18). The researchers found that HMB supplementation decreased muscle breakdown in the group that took 3 grams. Muscle strength also increased by 18.4% in the 3 gram group, compared with 8% in the placebo group and muscle mass also increased by 2.66lbs and 0.88lbs respectively. TORQ Recovery Plus+ contains the full research-recommended dose of HMB (2 grams per serve – 4 grams per day). 5.6% of the ingredient matrix of TORQ Recovery Plus+ is HMB. Beta-Alanine is one of the branched chain amino acids, naturally present in white meat and fish, but supplementation with this nutrient at a dose of 5-6 grams per day in divided doses has been found to significantly raise muscle Carnosine levels, helping the body to buffer lactic acid and ultimately increasing anaerobic performance. 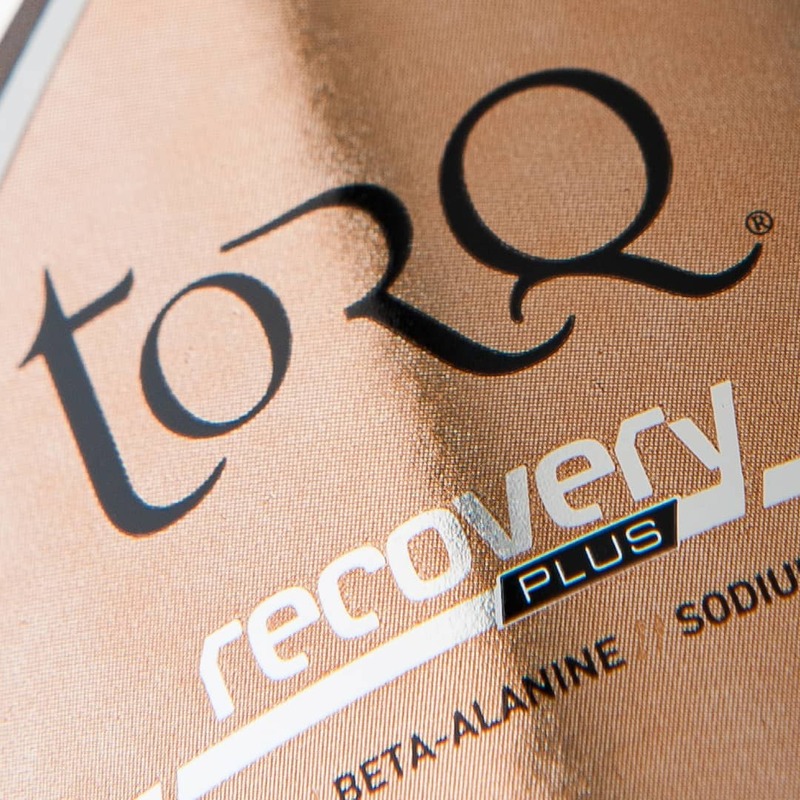 Beta Alanine has been included in the ingredient matrix of TORQ Recovery Plus+ not only to promote recovery after high intensity bouts of exercise like racing and interval training, but also to enhance performance during these sessions. If your anaerobic performance is increased, you will produce more power and you will be able to sustain it for longer. This will have the effect of overloading the muscles and this is where HMB works beautifully as a natural anabolic (body building/repairing) aid to knit everything back together after the trauma of muscle-shredding exercise. The anaerobic energy system plays a major part in energy production for any high intensity exercise. However, one of the major limitations of the anaerobic system, when producing energy during short bouts of exercise, is the body’s ability to clear the by-products (metabolites) produced by this system. Protons, including hydrogen ions, accumulate as a result of the breakdown of lactic acid, the major by-product of anaerobic metabolism, which results in acidosis; lowering the pH of the working muscle, causing fatigue and reducing the contractile force of the muscle. This ultimately results in a decrease in performance. One of the major ways that the body counteracts the effect of acidosis is through buffers, one of which is Carnosine, which accounts for around 10% of the total buffering capacity in skeletal muscle cells. Carnosine is stored within the skeletal muscle tissue, with particularly high concentration in the fast-twitch muscle fibres. The synthesis (production) of Carnosine in the muscle is limited by the availability of Beta-Alanine, which recent research has shown can only be significantly increased through Beta-Alanine supplementation (22,23,24,25,26,27,28). An increase in Carnosine stores results in an enhanced buffering capacity of the muscle and therefore improves performance, through delaying the associated fatigue and subsequent reduction in the contractile force of the muscle. In layman’s terms, Beta-Alanine supplementation will increase average power output for any interval between 1 and 7 minutes (according to research). Although few well controlled studies exist with regard to Beta-Alanine and time trial performance (anaerobic threshold power), logic dictates that the buffering ability of carnosine should also increase anaerobic threshold power by allowing a higher contribution to power by the anaerobic system. We will let you know if any clear evidence emerges on this subject, as we are watching keenly. Research (22-28) has shown that, by supplementing with between 5-6 grams of Beta Alanine a day, one can increase muscle Carnosine content by up to 60% after 4 weeks and 80% after 10 weeks in both slow and fast twitch muscle fibres. To maximise the muscle uptake it is best delivered in split or smaller doses, as Beta Alanine levels rise and fall within 2 hours of supplementing. Once again, this is why TORQ Recovery Plus+ is to be taken twice per day in divided doses. Unlike Creatine supplementation, there are no negative effects of weight gain, which makes Beta-Alanine a solid choice for high intensity endurance activities as well as those whose primary goals are strength and power.TORQ Recovery Plus+ contains the full research-recommended dose of Beta-Alanine (2.5 grams per serve – 5 grams per day). 7% of the ingredient matrix of TORQ Recovery Plus+ is Beta-Alanine. Sodium Phosphate has been studied in some detail and a strong relationship exists between supplementation with this compound and increases in maximal oxygen uptake (6-12%) and cycling time trial performance (29,30,31,32,33). One of these studies confirmed this finding by reporting higher than average power output readings over 16.1km, so effectively Sodium Phosphate improves anaerobic threshold. The mechanisms behind supplementing with Sodium Phosphate relate to an increase in oxygen transportation by the red blood cells through increases in erythrocyte 2,3-bisphosphoglycerate (an enzyme) levels within the cells themselves. This results in an increased oxygenation of the blood, causing a rise in aerobic capacity (measured as VO2 max). Indirectly, this does reduce the build up of lactate in the muscles and blood at a given intensity, but this isn’t through buffering, it’s through increasing the aerobic power component of fitness, which relieves the pressure on the anaerobic system. However, the performance benefits from Sodium Phosphate are only going to be realised at anaerobic threshold if the aerobic and anaerobic systems are working flat out – in which case lactate levels would remain high, but overall power output would increase. Phosphates are also used by the body in the manufacture ATP and creatine phosphate and therefore it is considered that Sodium Phosphate may help increase the chemical energy stored within cells. TORQ Recovery Plus+ contains the full research-recommended dose of Sodium Phosphate (0.8 grams per serve – 1.7 grams per day. Much of the research has used 4g of Tribasic Dodecahydrate Sodium Phosphate per day, which is ‘wet’ and less concentrated than the Anyhydrous (dry) source that we use. 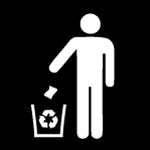 Therefore we only need to use about 40% of the material. 1.7g of our Anhydrous material is equivalent to just over 4g of Dodecahydrate). 2.2% of the ingredient matrix of TORQ Recovery Plus+ is Anhydrous Sodium Phosphate.  Cocoa is a major constituent of TORQ Recovery Plus+ and has a plethora of properties, naturally integrated into its fabric, which can’t be ignored from a both a physiological recovery and human health perspective. One of the most interesting things about cocoa is its antioxidant content. Some recent investigations have shown that it has more of the antioxidants and flavornoids than many foods typically considered high in antioxidants, such as green tea and blueberries. The antioxidants within Cocoa have been shown to help reduce blood pressure and the risk of heart disease, as well as aiding improve immune function. Antioxidants also help to protect against the damage free radicals cause to muscle membranes and sub cellular structures. Sodium is an electrolyte that helps regulates fluid balance, nerve transmission, and acid-base balance. Excessive decreases in sodium lost through sweat may predispose athletes to cramping and hyponatremia. A serving of TORQ Recovery Plus+ contains 60mg (120mg per 2 serves), with a recommended guideline daily amount (GDA) of around 500mg per day. Remember that GDA’s are recommendations to the general population, not athletes, so if you’re physically active, you should expect to take on a higher dose. Calcium is an important mineral used to coordinate muscle contractions and is another mineral that’s lost in sweat, hence why it’s also found in our flavoured energy drinks. It is also important in the building of bone tissue, nerve transmission and clotting of blood. A serving of TORQ Recovery Plus+ contains 142mg calcium (285mg per serves – around a ¼ of your GDA). Potassium is an electrolyte which helps regulate fluid balance, nerve transmission and acid base balance; it has also been suggested to help in the prevention of muscle cramps. TORQ Recovery Plus+ provides 150mg per serve (300mg per 2 serves). Potassium has a GDA of 2000mg. Iron is a major component of haemoglobin, the oxygen carrying pigment in the red blood cells. Iron deficiency causes fatigue, decreased immunity and anaemia, none of which are very favourable to athletes. 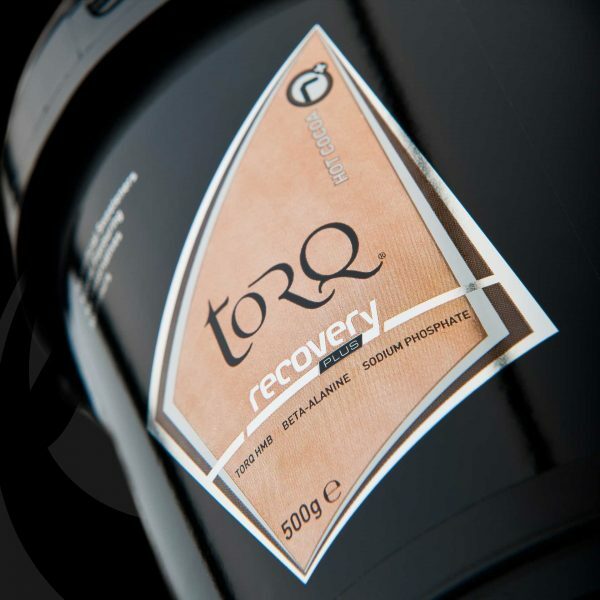 TORQ Recovery Plus+ contains 1.8mg per serve (3.5mg per 2 serves). GDA for iron in men is 8mg per day and 25mg per day in females. Zinc is an essential substrate in the controlling of many enzyme reactions and helps promote tissue repair. It also has a presence in sweat. Research has shown it can help minimize exercise-induced changes in immune function. 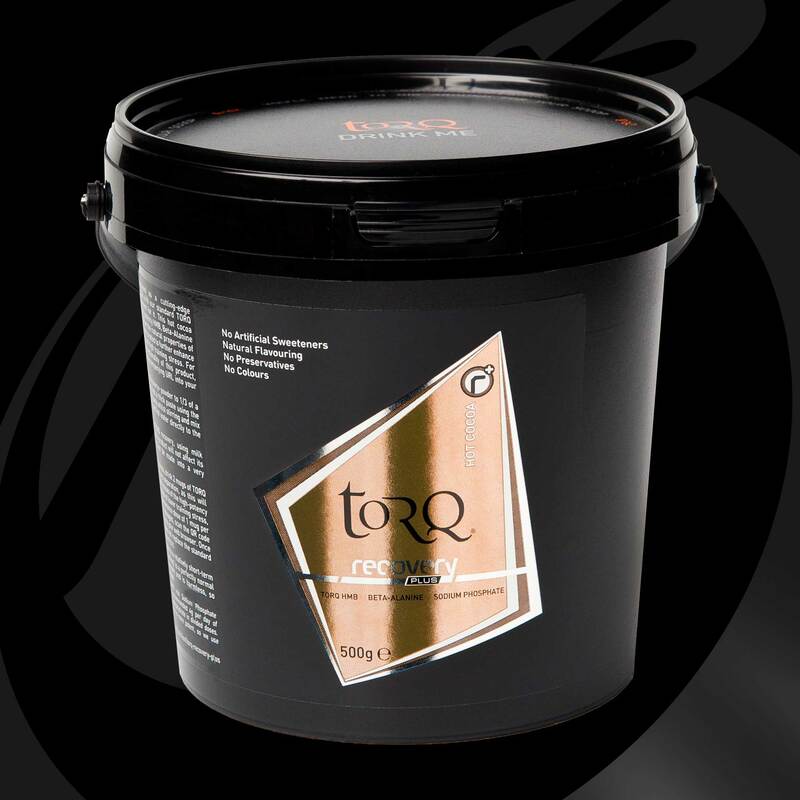 TORQ Recovery Plus+ contains 0.4mg per serve (0.7 per 2 serves) and has a GDA of 11mg in males and 8mg in females. So we’ve explained what’s in the two TORQ Recovery products, but how do you use them? 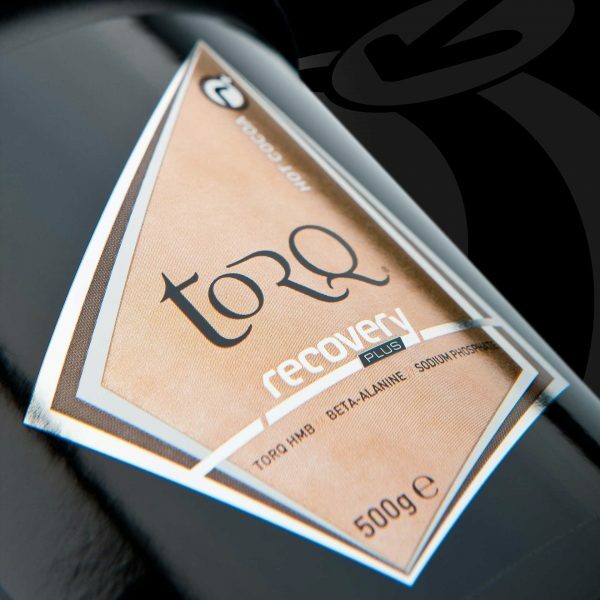 TORQ Recovery needs to be consumed within 15 minutes of finishing any exercise session of significance. In this case ‘significance’ means any exercise session that was high intensity enough or prolonged enough to deplete your carbohydrate stores. Any kind of prolonged lactic acid-producing interval sessions, racing, or lengthy/high intensity endurance ride would qualify. During periods of heavy training, this could be as often as 5-6 times per week for a serious athlete. TORQ Recovery Plus+ should be consumed daily, even on rest days. Intermittent use of this product is not recommended, because you’re unlikely to glean the full benefits. All of the nutrients in TORQ Recovery Plus+ need to be taken daily and in 2 divided doses to have maximum effect. The research suggests that HMB and Sodium Phosphate will have a reasonably immediate effect, but many of the studies into Beta-Alanine supplementation suggest that the greatest benefits are likely to be gained once the amino acid has been in your system for a sustained period of time and most protocols have tested athletes after a loading phase of 4 weeks. That is not to say that benefits won’t be gained in less than 4 weeks, but if you have a particular goal in mind, you should aim to start consuming TORQ Recovery Plus+ during the 4-week training phase approaching it, or earlier. Since the benefits of TORQ Recovery Plus+ are fully realised during high intensity training or racing, our advice to seasoned racers is to start taking the product during the pre-season when intensity of training is increased and continue with it throughout the season. During the off season where training intensity drops and volume increases, benefits will still be gained from the anti-catabolic qualities of HMB and aerobic benefits of Sodium Phosphate, but you will be paying for Beta-Alanine, which will be having little effect on your performance at this time. In which case, we recommend that you cease using TORQ Recovery Plus and purchase our RAW HMB product and maintain a daily dose of that by mixing it into some fruit juice. Sodium Phosphate offers performance benefits of course, but at this time you’re not looking for performance, you’re looking to build base fitness and strength. 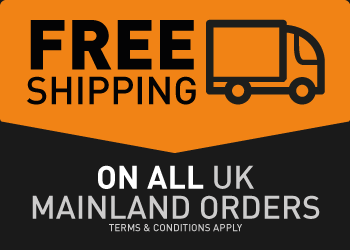 If such heavy consumption of TORQ Recovery Plus+ leaves you feeling a little concerned for your bank balance, you could consider using it as a peaking tool for isolated one-day races, stage races, training camps or cycling/activity holidays? Training camps and cycling holidays for instance invariably get a tad competitive, so if you know that the exercise is going to be of an intermittent nature, start using TORQ Recovery Plus+ at least 4 weeks before you go as you train up for the trip and continue taking it throughout the holiday. If you’re not quite organised enough to start taking the product 4 weeks prior, as mentioned earlier, benefits are likely to be gleaned with a shorter loading phase anyway. Finally, there are groups of individuals who are likely to benefit from regular TORQ Recovery Plus+ consumption even when using the standard TORQ Recovery product less frequently. 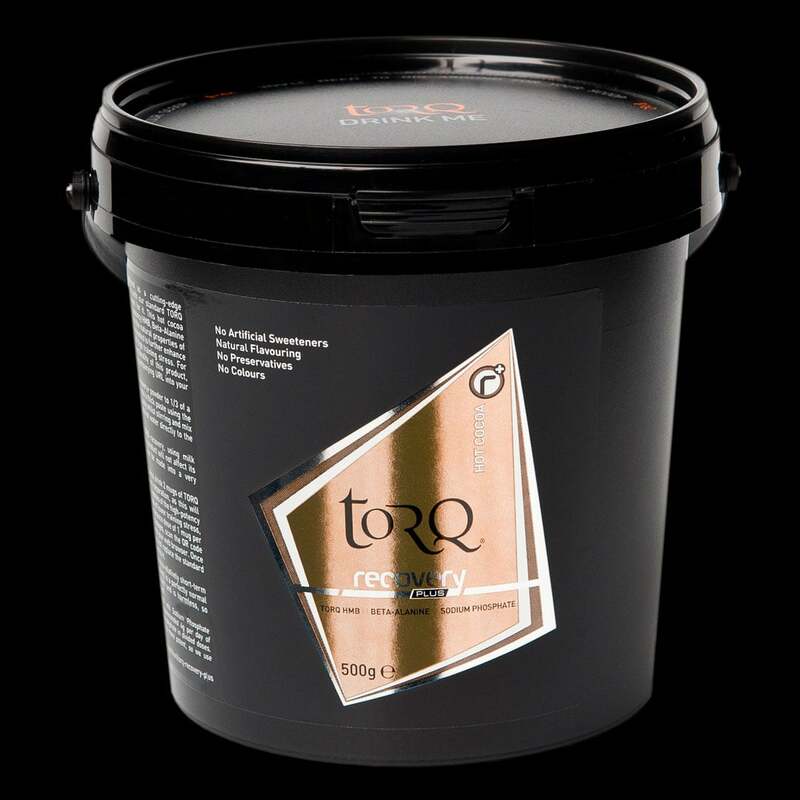 As there are significant anaerobic benefits to be gained through using TORQ Recovery Plus+, sprinting and power athletes like Track Cyclists, Downhill MTBers and BMX riders should consider using this product, even if they aren’t using the Standard TORQ Recovery product as much as an endurance athlete. These athletes should also consider using TORQ Creatine (available early 2013 from our RAW range). It should be stressed that TORQ Creatine should not be used by most endurance athletes, because it is a product proven to enhance explosive power, not endurance and carries a significant weight gain penalty. Add 2 level scoops of TORQ Recovery+ powder to 1/3 of a mug of cold water and mix thoroughly into a thick paste using the thin end of a spoon. Add boiling water slowly whilst stirring and mix into a smooth hot beverage. Do NOT add hot water directly to the powdered ingredients. Unlike our standard TORQ recovery, using milk instead of water or adding sugar to this product will not affect its functionality. TORQ Recovery+ can also be made into a very palatable cold drink. 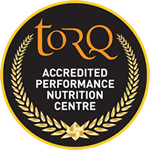 During periods of high training stress, drink 2 mugs of TORQ Recovery+ per day with at least 6 hours separation, as this will deliver the research-recommended daily doses of the high-potency nutrients most effectively. During periods of lower training stress, benefits can also be gained from a maintenance dose of 1 mug per day. For more detailed information on dosages, scan the QR code below or enter the accompanying URL into your web browser. Once again, please note that this product does not replace the standard TORQ recovery product; it is a supplement to it. Beta-Alanine ingestion leads to a relatively short-term tingling sensation to the skin. This ‘flushing’ is a perfectly normal response to this nutrient and is harmless, so please don’t be alarmed! Ingredients: Fructose, Skimmed Milk Powder, Cocoa (14%), Beta-Alanine (7%), HMB (5.6%), Sodium Phosphate (Tribasic Sodium Phosphate, Tetra Sodium Pyra Phosphate – 4.4%), Thickener (Tara Gum), Natural Flavour. Addition of protein and amino acids to carbohydrates does not enhance postexercise muscle glycogen synthesis. Journal of Applied Physiology), 91(2), 839–846.